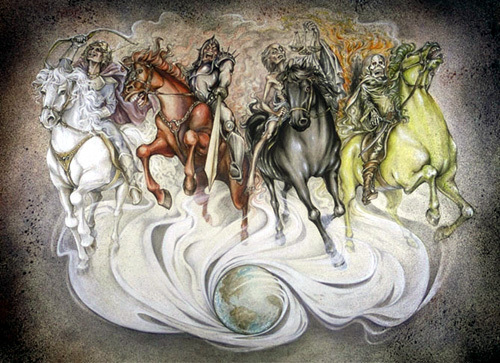 four horsemen. . Wallpaper and background images in the Jesus club tagged: image. WOW ! Powerful Mike ! white horse is jesus when in trulation time !! !